How can I integrate with Post Planner? How can I integrate with HubSpot? How can I integrate with SproutSocial? Once installed, the extension will automatically integrate with HubSpot. If installed properly, you should see a Sniply icon in the extensions bar of your browser. When you login to HubSpot with Sniply installed on your browser, you should see a new Sniply icon in the HubSpot interface. You can use this Sniply icon to create Sniply links! Just click on it and it will open up a Sniply creator directly within HubSpot. 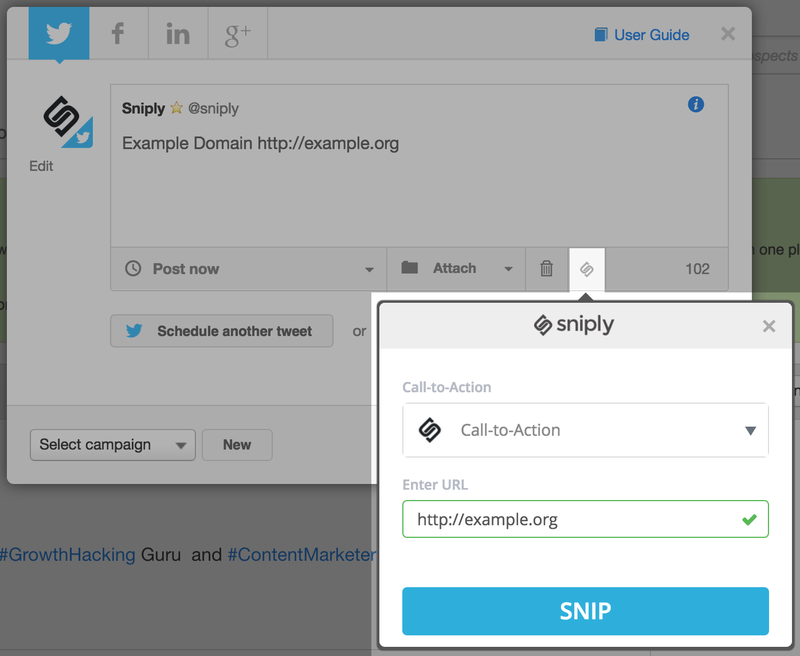 Simply select the call-to-action you'd like to use and include the domain you'd like to snip, and the new Sniply link will be added to your HubSpot post! 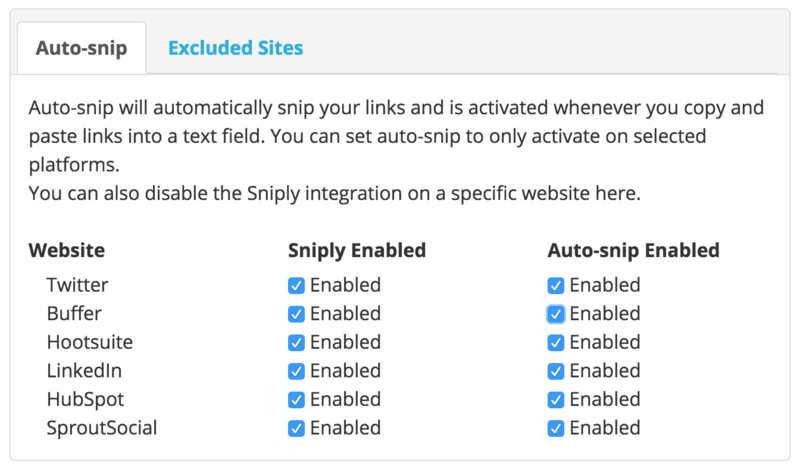 Bonus Tip: Sniply integrates with the HubSpot extension! Not only can you integrate with the HubSpot dashboard, you can also use Sniply within the HubSpot extension. When you activate the HubSpot extension, you'll see the Sniply icon and you can use it the same way as the HubSpot dashboard. Bonus Tip: Save time with the Auto-Snip feature! 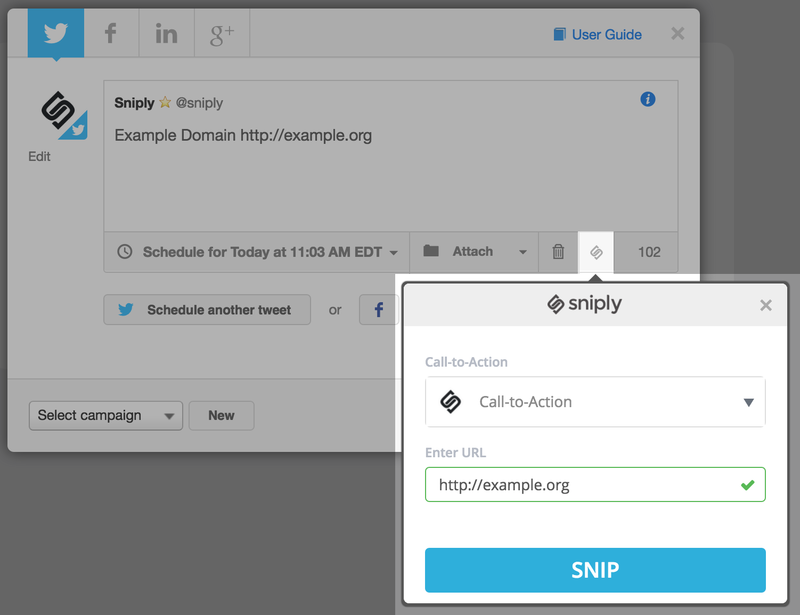 Simply paste the link into the text box in HubSpot and Sniply will automatically snip the link using your most previously used Call-to-Action! You can toggle this feature on or off by right clicking on the Sniply icon in your browser, and selecting Options.